There are so many nationalities coursing through my veins that I am sometimes in a quandry as to what to circle or mark on questionnaires that ask the Nationality Question. The worn-out saying that “my ancestors met your ancestors” who floated in on the seas applies; my Cherokee ancestors were here in order for my Scottish ancestor John Foreman to marry Susie Gourd “Kah-tah-yah” /Gourd (Rattling-gourd), a full-blood Cherokee of the Paint Clan (at least my point of view is that it Was Meant To Be). My great grandfather Robert Walker “Bob” Sammon left Georgia (with short stays in Texas and Oregon) to settle in New Mexico and marry my great grandmother Maria de los Santos Leal, whose Leal family was in New Mexico long before it was a state. Quite likely (haven’t connected all of the dots yet), my Coca ancestor was with Don Juan Oñate when he traveled from Spain to Mexico to New Mexico and this Coca ancestor’s descendants were the recipients of a section of the Mora Land Grant. 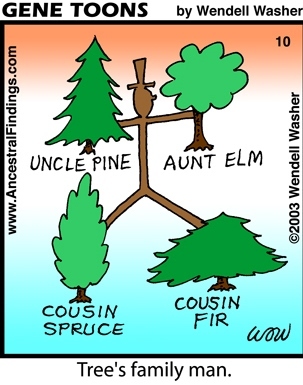 Now – all of this genealogy ‘stuff’ is of interest to . . . probably only me . 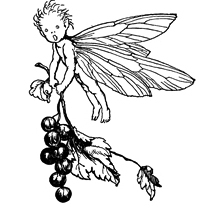 . . but here ’tis (in the event that there are other Hughey – and related families – researchers Out There in the Blogosphere). Tags: David Thrasher, family stories, genealogy research, Hughey Family, JohnForeman, Maria de los Santos Leal, Robert Walker Sammon, Silveria Coca, Susie Gourd "Kah-tah-yah"
I’ve not done any genealogy research regarding my Smallwood ancestors since we lived in Denver (and that has been a long time!). My research is certainly not written in stone; there are quite likely some errors and many more sources are available on the internet (I wasn’t using the internet when I began my research, rather I was ferreting out information in various libraries and county and state archives). However, one must be careful about information on the internet and I always look for verification with primary or secondary sources. My great-great grandmother Malinda Smallwood was born in Kentucky and married Beckwith Butler (the family legend is that he was a descendant of the same Butler family as President George Washington, but I’ve found no proof of that). Beckwith and Matilda lived in Vermillion County, Indiana and later settled in Douglas County, Illinois. They had children: Sarah Elizabeth, Hannah Jane, Lawrence A., Nancy, Lewis, Malinda, John, Elmer “Ellsworth”, and Emma Butler. I descend from Sarah Elizabeth Butler who married David Coslet January 9, 1868 in Tuscola, Douglas County, Illinois. James and Hester Smallwood are listed in First Families of Maryland. Descendants of Maryland Lt. Col. James Smallwood are eligible for membership in The Order of the First Families of Maryland, provided they document their lineage. Who knows why we have this urge to discover our roots? It is obviously in our DNA and in this day and age, we can use DNA advances to find the answers to our questions about our roots. Isn’t it amazing?! 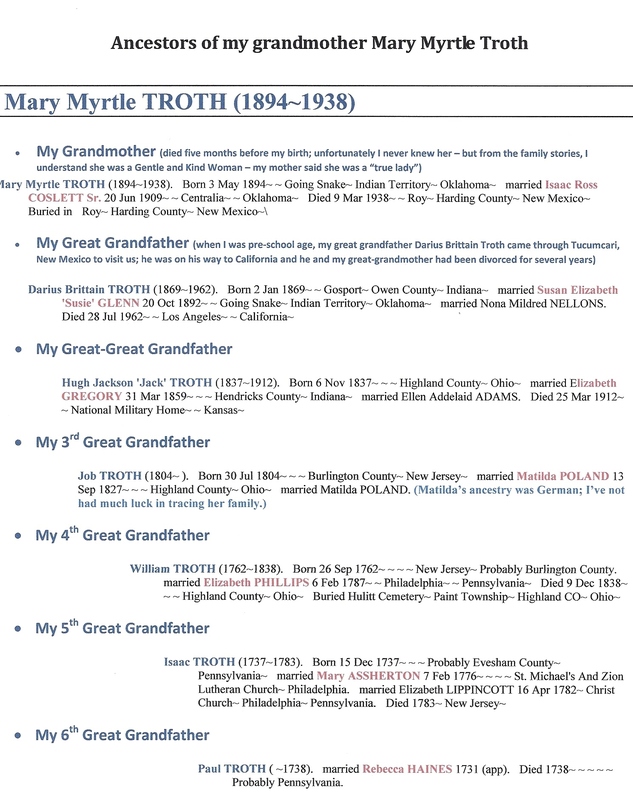 My earliest known (to me) Troth ancestor was William Troth born about 1676 in England and died 1740 in the American Colonies. He married Elizabeth Fields and (of course) there is a romantic story of her parents objecting to the marriage so they had to steal away and came to America to start a new life. William Troth came to America approximately 1700. He and his family settled in Evesham Township, Burlington County, New Jersey. Their son Paul Troth is my sixth great-grandfather. All of my genealogy notes were not yet transferred to the computer when (my old old story – which is getting tiresome, I know!) the 1998 flood destroyed all hard copies of my research. Thus the following narrative only has a reference note – “Reference #49.” No. 49 would have been one of the thousands of notes I copied from various history and family books. Thus, I unfortunately cannot credit the source for the following information.
. . . East of the Hewling tract was the large Troth tract. He parted from his boyhood sweetheart, Elizabeth Fields, and made the trip across the ocean and landed at Burlington. He loaded his packhorse with gun, axe, grubbing hoe, knives, a cooking utensil, salt, flour, corn meal, and blankets, and took the walk through the woods to his future home, which, of course, was a log cabin. Back in England his sweetheart was making preparations to join him. The Fieldses were a wealthy family and they objected strongly to her marrying William Troth, who was not wealthy. They refused to pay her passage on the boat trip to this country. True to that feminine instinct of knowing what she wanted and getting it, she sold her jewels and trinkets, thereby securing enough money to pay the passage on the sailing vessel, which required six weeks to make the crossing. Arriving at Burlington, William Troth met her with his horse, and the two made the trip on horseback through the woods. For fear of being brushed off the horse, she would put her arms around him and he voiced no objection. Why did she leave her home and family in England with its luxury and security to live in a wilderness in the crudest kind of a house? Here she found the ferocious greenhead fly, the persistent strawberry fly, and hordes of mosquitoes–all seeking her blood. Snakes were numerous: the poisonous rattlesnake and copperhead; the rapid traveling nonpoisonous black snake, that could overcome a rattlesnake in battle; the water snake, garter snake, pine snake and other varieties. If the door was left open, snakes would crawl into the house. There were the screech owls and the hoot owls, breaking the silence of the night. Troth now proceeded to build a better house of ironstone or sandstone, abundant then and now in the nearby meadow. To make sure of keeping warm in winter, he built a large fireplace which extended almost across the room. Doors were built opposite each other so that a horse could drag a heavy log across the room. The back log was then rolled into the fireplace and would burn all night without any attention. On the second floor was a fireplace not quite as large. An outside door was made so that wood could be handed into the room. There was a bake oven where a fire could be made inside. When fire heated the brick bottom sufficiently, it was withdrawn and the bricks swept clean. The bread dough was placed on the hot bricks and this heat was sufficient to bake the bread to a beautiful brown. A thick slice of this hot bread, with butter and molasses on it, was a hungry boy’s delight, and the smell of home-made bread sharpened the appetite of the elders. To make the bread, a jar of yeast was always kept on hand. Mashed potatoes and water were added to the jar to keep it full. The yeast was added to the bread dough, and then allowed to rise for a few hours. It was then ready for the oven. Pies were also baked–huckleberry, gooseberry, and pumpkin. For sweetening they had sorghum molasses; and if they were lucky to find a honey tree where bees stored honey in a hollow branch, this added to the sweetening supply. In the long winter evenings as they sat around the fireplace, Troth would read Bible stories to the children. They roasted chestnuts ( which fell to the ground by the bushels, popped popcorn, cracked hickory nuts, shell barks, and black walnuts. Perhaps a neighbor would drop in and spend the evening. Troth also built a cross-legged table with a long bench on each side. His wife kept busy. For breakfast she would fry ham in a long-handled pan over an open fire. For dinner, a big dinner pot would be filled with pork, cabbage, and potatoes. This pot was then swung over the fire by a crane. Supper was a bowl of corn mush and milk. To supplement this diet, wild game was plentiful. Domestic fowl were chicken, duck and geese. In winter pigs were killed, and also a beef. Tallow as made from the beef into candles and soap. Ashes from the fire were put in a barrel. Water was allowed to soak through the ashes; lye was obtained in this manner and was mixed with the tallow to form homemade soap. A housewife washed and combed wool which was then spun into thread on a large spinning wheel. This thread was then made into warm winter clothing. For summer wear, flax fibers had to be taken out of the flax stems. This was a difficult job and a special tool had to be used. The fiber was then spun on a smaller spinning wheel, flax being harder to spin than wool. The flax thread was then put through a weaving machine. The linen then made into clothing. No coloring was used; the linen was a dull gray. While the wife was busy in the house, the husband was busy outside, cutting down trees and clearing the underbrush. It was a hard job to dig out the stumps, so he planted his corn between the stumps, using a grubbing hoe to stir the soil and cut down unwanted growth. When time permitted, he dug out the stumps. He made a sort of wooden plow that was pulled by oxen. He made a barn to shelter his grain and livestock; and he made a oxcart with solid wooden wheels, wooden axle, body, tongue, and neck yoke to hold the oxen. The oxen pulled the cart by their powerful necks. This was the slow method of transportation for heavy hauling For fast transportation, one mounted a horse. Oxen were powerful beasts weighing About a ton, as compared to a horse’s 1200 to 1500 pounds. Oxen could pull a load in muddy ground where a horse would flounder. Oxen were hard to train. It was hard to get an idea into their thick skulls. When the driver saw that an oxen team was About to hit an obstruction he would holler “whoa;” but to get them used to the word “gitup,” a whip lash was a good instructor. During the Revolutionary War, Tylee Engle was in possession of the Troth farm. He built a brick addition to the old sandstone part and his initials T. E. and the year 1777 were marked on the door latch. A later owner rough coated the entire house. The present owner, James Ivins, has sold the farm to real estate developers and the old house faces a gloomy future. 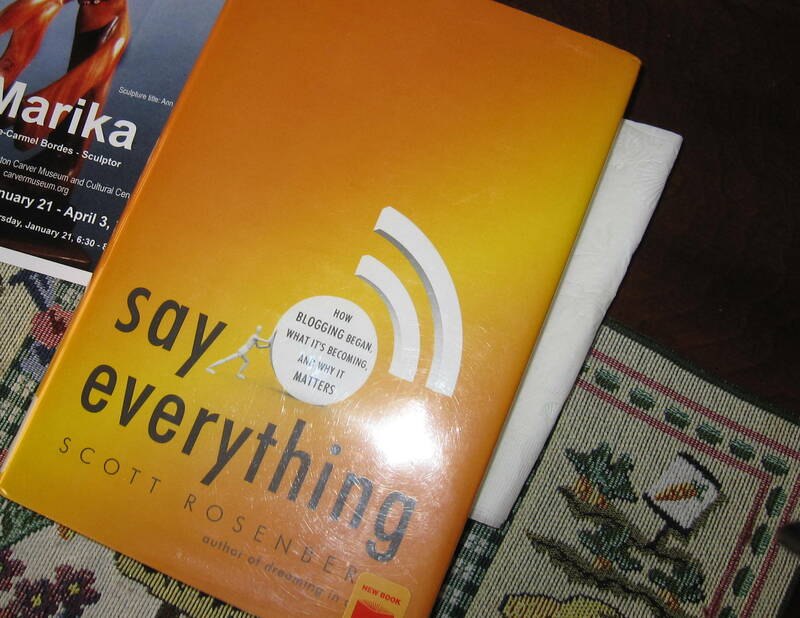 Scott Rosenberg’s book about blogging (say everything How Blogging Began, What It’s Becoming, and Why it Matters) traces the rise of blogging with stories of the blogging pioneers and what is happening now on the Web. Recalling our worry and concern about our son and his family in New York on September 11, 2009, reminded me anew how useful the internet was on that day. We could not reach our son by telephone but – thank goodness – we were able to exchange e-mails – and again, thank goodness: he and his family were safe. However, like so many (not only in New York but all over the world), he lost friends in these devastating attacks. It was important to maintain contact and learn what was happening on that terrible terrible day. In addition to e-mails from our son, we kept track of what was happening by viewing the instant ‘blogs’ (or Weblogs as they were called at time, I believe). This was our only way to learn of events in New York. When Hurricane Katrina hit with such devastation, it was the blogs that provided our news of events (the news stories came later). In the early 1980s when I began researching my family history, I corresponded (via postal mail) with fellow researchers. 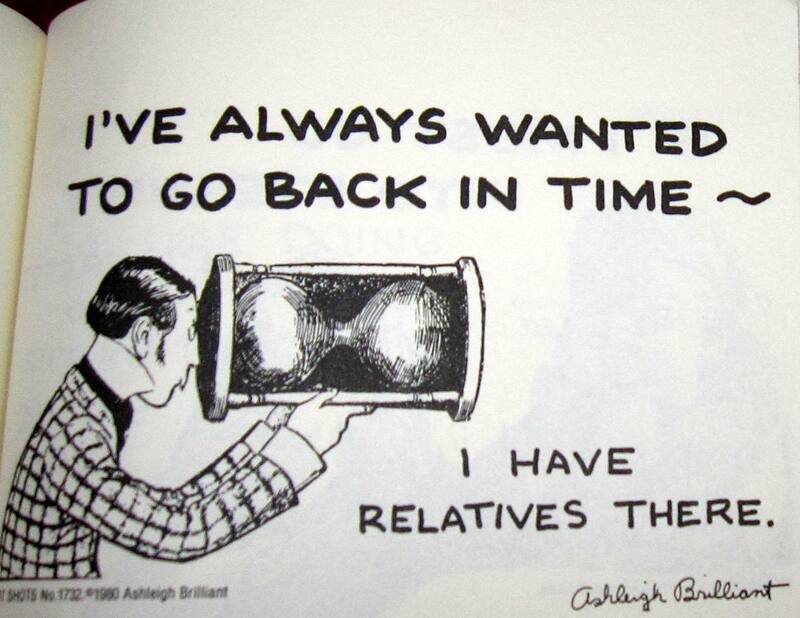 I was corresponding with other interested researchers and subscribing to genealogy sites on the internet in the mid-1980s. By the mid 1990s, there were personal blogs about particular genealogy interests (geographical and family surnames). Now, when I indicate an interest in books, genealogy, politics, stitching, vacation spots, cooking – anything at all that strikes my fancy – there is a blog that will answer some of my questions or whet my appetite for more information. Rosenberg: It has taken blogging roughly a decade to evolve from the pursuit of a handful of enthusiasts on the fringes of the technology industry into the dominant media form online. Whatever it is you are aiming to do or express on the Web today, the odds are good that you, like Berners-Lee and Andreessen, will end up doing it, wholly or in part, using a blog. Whatever information you seek, or debate you follow, or distraction you crave, the odds are equally high that your destination will be a blog of one kind or another. This outcome looks inevitable only in hindsight. And even today the result still sometimes inspires a double-take: Wait a second, you mean there’s a blog about that? On one recent evening, I found myself hitting a wall as I prepared a recipe from a favorite Chinese cookbook. It called for an ingredient, a particular type of dried preserved mustard green from Sichuan province called ya cai. But I had no idea whether what I’d picked up at the local Asian grocery–desiccated brown shreds packaged in cellophane labeled “dried marinated mustard”–was the genuine ya cai article. The cookbook was no help. Even Wikipedia, that grand collaborative compendium of volunteered human knowledge, offered only scant guidance. But Google pointed me to an American food blogger, the anonymous Kitchen Chick, who’d been cooking her way through the same cookbook and had posted hundreds of words on the intricacies of identifying and purchasing preserved Chinese vegetables–not only how to identify ya cai by the Chinese characters, but how to tell it apart from the closely related zha cai (made from mustard stems rather than leaves) or suan cai (pickled mustard in a jar). Whatever your particular ya cai may be, there is probably a blogger somewhere who has discoursed on it. If for some reason there is not, you can always take on the job yourself, recording your findings and opening a channel for readers to contribute their knowledge and correct your goofs. This inclusive process has populated the Web haphazardly but luxuriantly, like the wind seeding a wild meadow. The common explanation for this proliferation attributed it to the low cost and simplicity of blogging–what economists call a “low barrier to market entry.” We might also call it a low barrier to obsession indulgence. If you care deeply about some topic, no matter how obscure, and you’d like to talk about it, an empty blog awaits you. In this way, blogging has enabled the sharing of a wealth of knowledge that was hitherto private or limited to small groups. It has, in effect, widened the lens through which we can see one another’s passions and quirks. My answer is that, yes, I’ve always done thus and so or been interested in this or that – but in the past I wasn’t telling the whole world about it on my Aimless/Silly Blog. Now, I am ‘saying everything’ as Rosenburg writes about in his book. Now, I just post a junkpile of ‘stuff’ that interests me . . . and lo and behold, I will hear from someone else who has been thinking the same thing, wondering about the same question, interested in ‘stuff’ that interests me. Rosenberg writes that – Bloggers, most of them solo bootstrappers of their own stream of self-expression, are the most autonomous writers the world has yet seen–the least dependent on others to publish their words. . . . On a blog, you alone can edit your words . . . At the same time, of all the species of writer, bloggers are the least insulated from their audience, most vulnerable to the ebb and flow of attention and response. They are both alone and in a crowd. Their solitude can inspire self-indulgent ranting; their sociability can tempt them into self-serving pandering. But every now and then they manage to hold their balance in this paradoxical position for an extended, exhilarating spell.
. . . Any act of public expression, of “putting everything out there” — your political arguments or your creative work or your personal story — is a gamble. We offer something to the world; we cross our fingers that our contributions won’t simply be ignored or derided or misappropriated. Sometimes we’re surprised at how much we get back, and sometime we feel used. Either way, we are going to keep at it. Whatever the outcome of each of our individual bets, we can now see that collectively they constitute something unprecedented in human history: a new kind of public sphere, at once ephemeral and timeless, sharing the characteristics of conversation and deliberation. Blogging allows us to think out loud together. Now that we have begun, it’s impossible to imagine stopping. A blog’s posts, then, are little pieces, but on a good blog they are created according to an individual vision, and they are assembled for a reason.
. . . Bloggers are writers who sit down to type character after character, word upon word, day by day, steadily constructing, out of their fragments, little edifices of memory and public record. . . . Individually they are stewards of their own experience; together they are curators of our collective history. Their work may be less polished and professional than that of many of their predecessors. But they are more passionate, more numerous, and more inclusive — and therefore more likely to succeed in saving what matters. My great-uncle Count Caldwell made a recording of his early life and memories of his family. In one segment, he mentions an occasion when his family met up with the James ‘gang’ as the Caldwells were traveling from Arkansas to Texas and Oklahoma. He (like so many individuals in Southern families who knew sufferings during the Civil War), expressed admiration for Jesse James and the James family. He mentioned that Jesse Woodson James’ son was a lawyer (practicing in Missouri if I remember correctly – can’t check – for alas: my Old Flood Story – lost the audio tape that Count recorded). 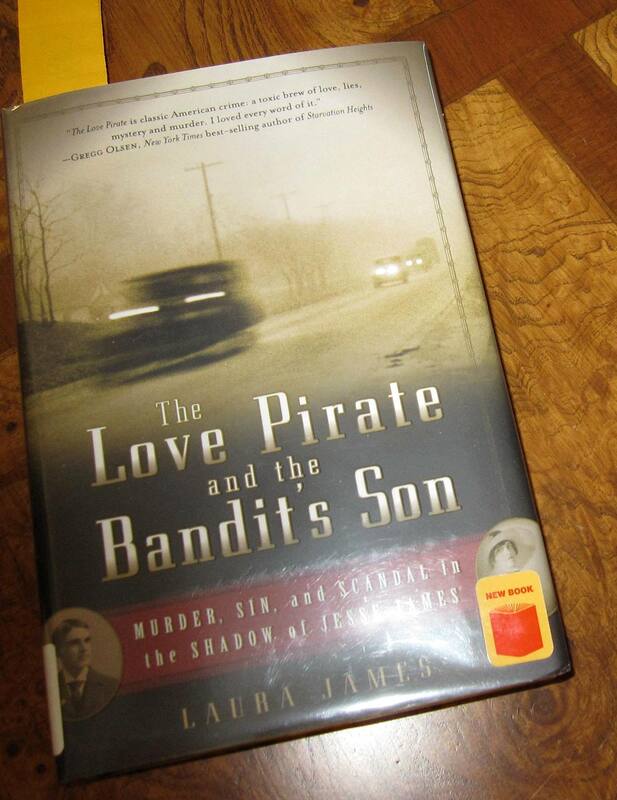 In my genealogy research, I’ve discovered a connection with my Williams family and the Woodson family – thus a very tenuous connection with Jesse Woodson James’ family. The book is a very interesting read. The Sunday afternoon of Jesse’s third visit to my home, I could not help noticing how stiffly everyone seemed to be perched on the edge of the uncomfortable parlor chairs, how the conversation seemed to sputter nervously and die, how my younger brothers and sisters sat around and stared in excited curiosity at our guest. I was wishing that he’d go on to explain that he’d bought and paid for their cottage himself out of his own earnings, for he’d been working hard to support the three of them ever since earliest boyhood. I wanted Jesse to make my parents see what a fine person he was. But then my mother, (Martha) just trying to keep the faltering conversation going, and certainly not intending to be unkind, began, “And your father?” breaking off in dismay after realizing the blunder too late. “He was killed,ma’am, back in 1882,” said Jesse. And a tense silence fell in the room, while my brothers and sisters exchanged thrilled glances, and waited to see where this tantalizing turn of conversation might lead. I jumped up in relief as my father nodded his assent. 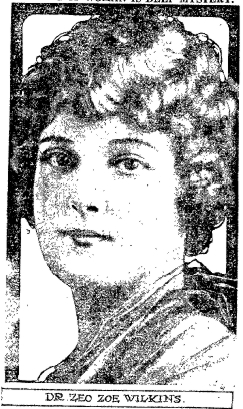 They were wed on January 24, 1900, even though Stella was not quite eighteen years old and thus not legally eligible for marriage under Missouri law. There seemed no reason to rush, but they could not wait another six weeks. The wedding of Jesse James Jr. was national news in January 1900. The young couple honeymooned on the old James farm near Kearney, fifteen miles northeast of Kansas City, where the outlaw Jesse and his bride Zee also had honeymooned in bygone days, the home loopholed for defense, raised by federals, bombed by the Pinkertons, and ruled by Zeralda Samuel, improbable a setting as it was for romance. My direct Harrison ancestor was Clement King Harrison, who was likely born in Virginia. 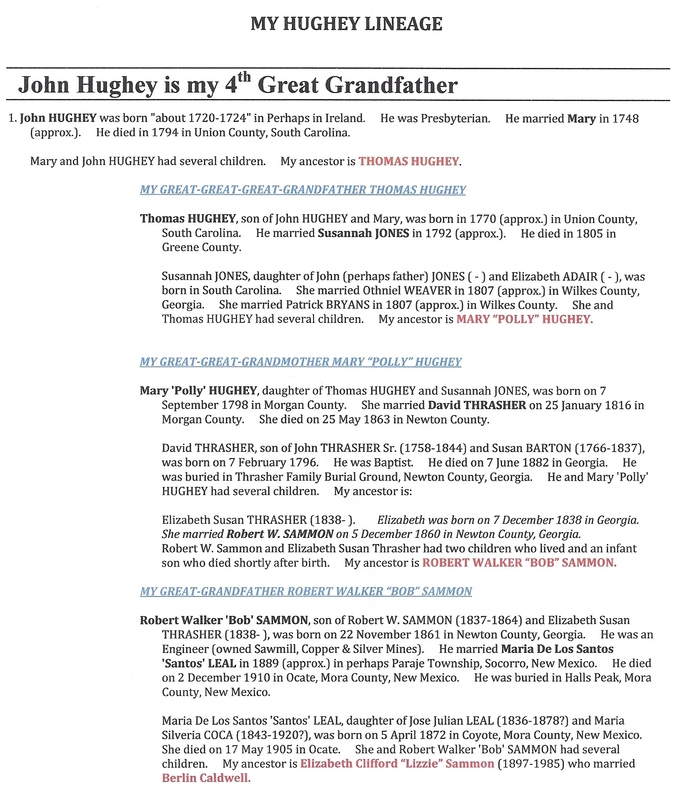 The family lived in Columbia County, Georgia and I’ve not been able to discover Richard Harrison’s parentage – nor the maiden name of his wife Betty (perhaps Elizabeth). It seems as though I have the same questions now in 2009 as when I started this research in the 1980s (keep waiting for that breakthrough!). Elizabeth Williams who married Clement King Harrison was the daughter of Matthew Jouett Williams and after the death of Clem, she married William Richardson and had other children. Two daughters of Elizabeth Williams and Clement King Harrison married John Sammon, Jr. The first was Elizabeth Williams and she and John Sammon had one daughter, Elizabeth Sammon. After the death of Elizabeth, John Sammon married Elizabeth’s sister, Mary B. 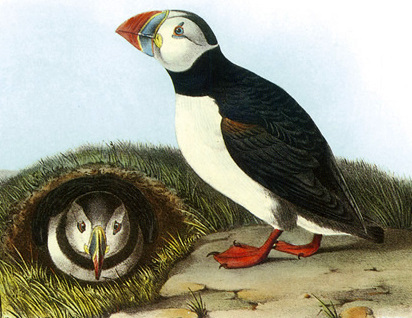 “Polly” Harrison and they had several children. Jack Jouett is my whatevereth-cousin – and is sometimes referred to as The Paul Revere of Virginia. A son was Matthew Harris Jouett, a famous painter whose portraits are highly prized. A grandson was James Edward Jouett, an officer in the United States Navy. Three ships in the United States Navy have been named the USS Jouett. Alas – doubt there is any connection with the Perrier Jouet champagne . . . When I began dabbling in some family research, making all of the amateur genealogist mistakes, I was surprised to learn that my father’s Cherokee lineage included folks who were in the newspaper business. Since my father began in the Roy, New Mexico high school printshop and worked for newspapers all of his life, this was interesting news to me. I worked for New Mexico and Colorado newspapers. My brother worked several years for newspapers (New Mexico and Colorado). My father’s brother – ditto (in New Mexico and Arizona). But to learn that my paternal line had printer’s ink in their DNA for a hundred years (or so), was a revelation to me. The snapshot above is of the Edward Wilkerson Bushyhead house in San Diego. It was not open to the public when we visited the San Diego historic district in the early 1980s; this is the only snapshot in my Stack of Forgotten Photographs I’ve been searching (and it is not a very good photo at that). Edward Wilkerson Bushyhead was a nephew to my direct ancestor Richard Bark Foreman. 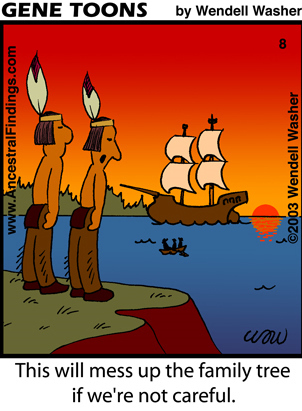 Richard Bark’s half-brother Reverend Stephen Foreman worked alongside Elias Boudinot on the Cherokee Phoenix. Edward “Ned” Wilkerson Bushyhead (1832-1907) – Miner, publisher, and lawman, Bushyhead was born near Cleveland, Tennessee. Part Cherokee Indian, he was the son of a Baptist preacher, who he accompanied from Georgia to Indian Territory on the Trail of Tears at the age of seven. When his father died in 1844, the 12 year-old went to work as a printer with the Cherokee Messenger and later worked in Fort Smith, Arkansas. In 1850, the 18 year-old headed to California where he landed in Placerville seeking his fortune. Having some luck as a miner, he soon allocated his resources and became the publisher of the San Andreas Register in October, 1867. This; however, was short lived, as he then moved to San Deigo, where he became the “silent” publisher of the San Diego Union which was first published on October 10, 1868. In 1873, he sold the newspaper, which continued until 1927, and was resurrected for five years between 1942 and 1947. In 1882, he ran for sheriff of San Diego County and served two terms and in 1899 became the Chief of Police in San Diego, California, a position he held until 1903. Due to health reasons, he moved to Alpine, California in 1907, where he died on March 4, 1907. His body was returned to Oklahoma, where he was buried in the family cemetery at Talequah.